Fall is approaching the Pacific Northwest, and with it shorter days, longer nights…and plenty of rain. While the rains are good for our gardens and lush forests, it's not so great when it comes to impaired vision and vehicular safety. A 2015 study compiled by the Auto Insurance Center from National Highway Traffic Safety Administration data showed that rain causes more driving accidents than any other weather hazard, including snow. Even in Alaska, rain caused more crashes than snow. You can increase your visibility while driving in the rain with Aquapel Glass Treatment. Designed for professional application on any glass surface, Aquapel can be used on vehicle windshields, side windows and doors. A University of Michigan Transportation Research Institute study showed that hydrophobic coatings on a windshield can improve the driver's visual acuity by almost 34%, when compared to an untreated windshield! A driver's response time to identify small targets—like, say, a neighborhood pet or child—was improved by 25 percent, from four seconds to three seconds. That one second could be key to preventing serious injury. Aquapel repels rain for improved vision; makes it easier for drivers to clear away ice, snow and dirt; and reduces glare in the rain, especially at night. The treatment is affordable—ranging from $19.95 to $24.95—and helps your wipers last longer, as well. 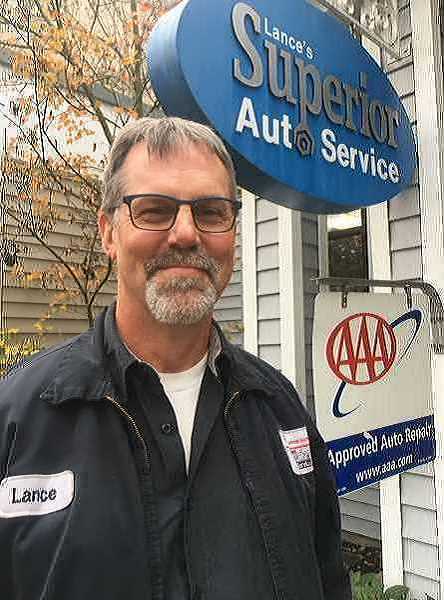 If you're thinking about winter auto maintenance, ask about Aquapel at Lance's Superior Auto by calling 503-682-8522 today.